In this magnificent reimagining of the form he originated, two stand-alone stories-the first in nearly 400 pages of continuous pictures, the second in prose-create a beguiling narrative puzzle. Nearly a century later, Joseph Jervis runs away from school and seeks refuge with an uncle in London. Albert Nightingale's strange, beautiful house, with its mysterious portraits and ghostly presences, captivates Joseph and leads him on a search for clues about the house, his family, and the past. 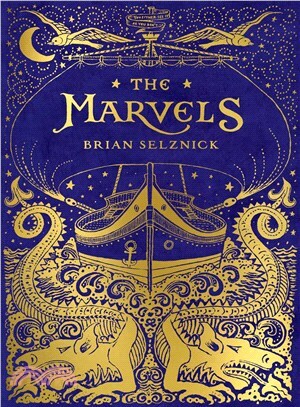 A gripping adventure and an intriguing invitation to decipher how the two narratives connect,The Marvels is a loving tribute to the power of story from an artist at the vanguard of creative innovation. Brian Selznick is the Caldecott award-winning author and illustrator of The New York Times bestsellersThe Invention of Hugo Cabret and Wonderstruck. He is also the illustrator of many celebrated picture books and novels, among them Caldecott Honor WinnerThe Dinosaurs of Waterhouse Hawkins by Barbara Kerley, and Sibert Honor WinnerWhen Marian Sang by Pam Munoz Ryan. Brian has previously worked as a set designer and a puppeteer. He lives in San Diego, CA, and Brooklyn, NY.